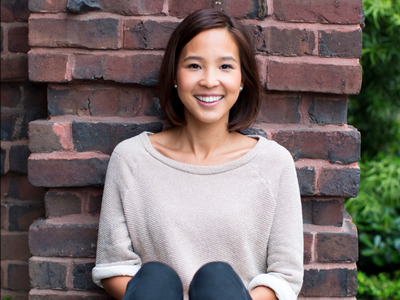 By the time Yunha Kim sold her first startup to Wish, she was burned out. For nearly three years, she had lived and worked with her team to build Simple Locket. It ended up a great success — the e-commerce company acquired it in July 2015 and brought on her team. But Kim needed a way to destress after building her company and taking it to its exit. She tried locking herself in a hotel room with her phone off to decompress. She put oils that promised to lower stress in her baths. There’s a whole market of sprays to lower your stress levels. Yet, she found it was meditation — just a short five minutes of clearing her head — that helped the most. Now, Kim’s turned her own way to curb burnout and manage stress into an app to help others. Simple Habit isn’t an app that’s all about chakras or sitting in the dark for 30 minutes to meditate. Its five-minute sessions are for young professionals on the go, the busy and sceptical people like Kim who thought meditation would never work for them. Apple has already featured Simple Habit as one of its “New Apps We Love” in May. “When people think of meditation, they think you have to go into a forest and decompress, but you can really do it on a daily basis,” Kim told Business Insider. Kim has done the whole forest meditation thing, she admits. Her week in the woods with silent meditation was a good experience, she says, but not something she needs to repeat. Instead, Kim wanted to find a way for young, hard-working millennials like herself to enjoy the benefits of meditation without feeling like it’s a burden on their time. She built Simple Habit so people could get the benefits of meditation in just five minutes a day. Instead of requiring a quiet space or a dark room in isolation, people can choose from a wheel of options to pick the meditation guidance that suits what they’re doing. That means if you choose the commute option and say you’re driving or walking, it’s not going to tell you to close your eyes, Kim says. Instead, each five-minute meditation session is centered around a theme, whether it’s a disagreement with a boss, PMS, or an interview for a new job. To start, Simple Habit has about one month’s worth of free content, but there’s a weekly, monthly, or yearly subscription free from there. The coaches on the app she’s contracted with largely come from Google’s wellness programs, so they’re used to coaching ambitious professionals, Kim says. She’s also good friends with Google’s Jolly Good Fellow who retired to spend three hours a day meditating. A research study in 2016 found that even a short computer-led mindfulness practice increases mindfulness overall. “When I was working at Locket, nobody told me how the app changed their life,” Kim said. Now, her inbox is full of notes from surgeons who listen to a five minute session before surgery or over-worked college students who had been looking for a way to decompress.